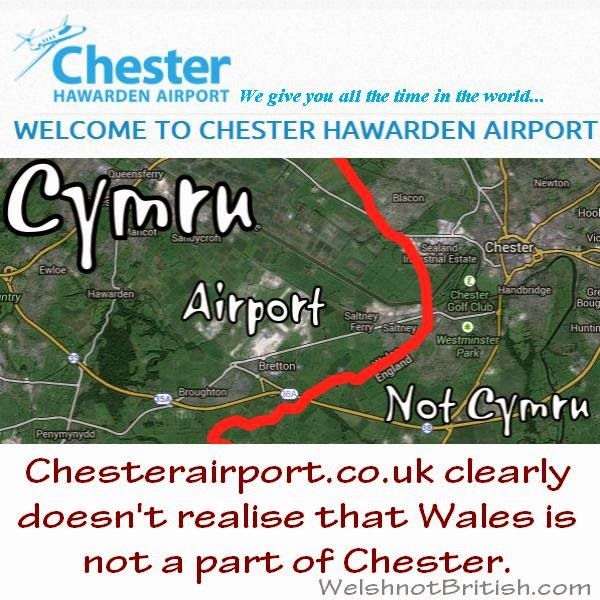 Here we have the Chester Airport banner (with Hawarden in little letters) and underneath that I've added a map of the Welsh border. 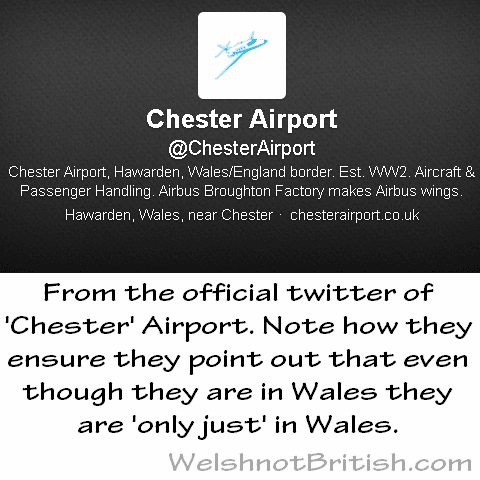 I've clearly labelled where the airport is so there can be no doubt that Chester Airport is in Wales. 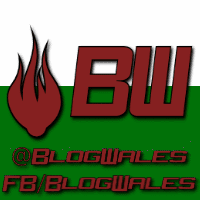 Now this could be due to the fact that this part of Wales has an English post code. I mentioned that here, along with a map showing all the other English post codes that have been forced onto Wales. Here's the address from their website. And here is their (old) twitter profile. Is it Chester or Hawarden? England or Wales? So now they are saying they are in Hawarden not in Chester as they are pointing out that they are merely near Chester. It's a bit of a mess is this. It sounds like they are ashamed of being in Wales and desperately want people to think they are actually in England. Which reminded me of England footballer Michael Owen saying he lived 'near Cheshire' whilst on Family Fortunes. He lives in Ewloe, Flintshire, whilst technically he does live 'near Cheshire', it sounds like he is ashamed of where he lives. Kind of like Chester Airport. Now something bizarre has happened here, the screenshots of the address and twitter profile were taken on the 19th January when I shared the first graphic on my facebook page. Sometime over the next few days they have changed their twitter username and updated their profile. It now reads like this. One thing I should point out is that I had to highlight the text in order for it to be readable. They've made the rookie mistake of using a predominantly white background to white text. That's a free tip by the way. The text itself is neater now, I still think the Hawarden/Chester Airport is bad since on the website it's down as Chester Hawarden. How about this, as another free tip. Drop all the pretence that you are in Chester as you are not. Change your name and branding to Howarden Airport and play on the fact that you are in the fairly exclusive club of Welsh airports as opposed to trying to be just another English airport.